Garrucha in the Oven - Temptation! Grease a pie dish with butter and sprinkle with flour. Put the pie dough in this and trim the edges. Place weights in the pie tin and bake 10 to 15 minutes until dough begins to turn brown. Remove and let cool. Peel the apples, remove the seeds and core. Slice them and put them in a bowl with sugar, nutmeg and cinnamon. Heat this in a microwave oven until the apples are soft, about 5 minutes. not a nut was left! 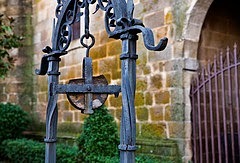 Raw chestnuts or those preserved in syrup may be used. If using raw chestnuts, roast them in the oven 400ºF/200ºC for 15 minutes or until they can be peeled. If using preserved chestnuts strain them. Save the syrup for ice cream. Heat the sugar, butter and milk. Put about 12 chestnuts aside. Cut them in half. Chop those remaining. Put about 12 whole walnut halves aside and chop the rest. Put the chestnuts and walnuts that were set aside into a spice bag and add it to the sugar and butter mixture. Add the remaining nuts and continue cooking. 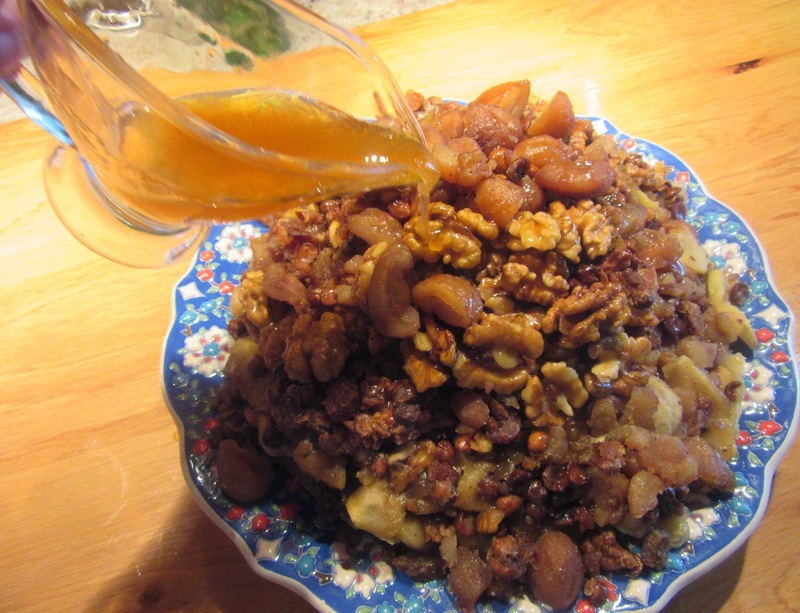 When the mixture takes on the consistency of toffee, and the color has become darker, remove some of the nuts. Hit the remaining nuts a few times to break them into small pieces but not enough to become a purée. 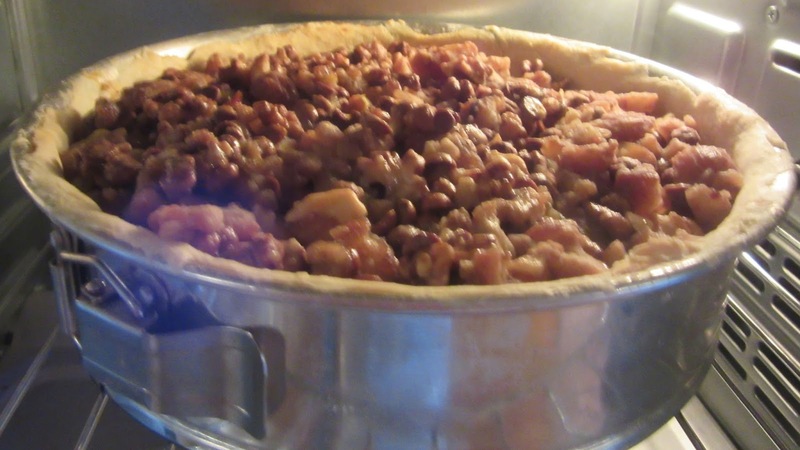 Place alternation layers of apples and in the pie tin staring with the apples and finishing with the nuts. Bake until the filling bubbles and nuts are caramelized. Remove form oven and let cool. Prepare a cover by heating the honey in a saucepan. Add the whole nuts that were set aside and pour the mixture over the pie. Sprinkle this with anise and serve while the honey is still hot.